Eschew the tourist crowds and head to Paihia Harbour and Pompallier Mission and Printery. Popular historic sites such as Waitangi Treaty Grounds and Christ Church are in your itinerary. There's lots more to do: get close to the beloved marine mammals with a swim-with-the-dolphins experience, enjoy the sand and surf at The Strand Beach, stroll through Kororipo Pa Historic Walk, and contemplate the long history of Akeake Historic Reserve Track. To see more things to do, other places to visit, maps, and tourist information, use the Paihia tour itinerary tool . Sao Paulo, Brazil to Paihia is an approximately 21-hour combination of flight and taxi. You can also do a combination of bus, flight, and taxi; or do a combination of flight and bus. You'll lose 15 hours traveling from Sao Paulo to Paihia due to the time zone difference. Finish your sightseeing early on the 22nd (Tue) to allow enough time to travel to Hokitika. Hokitika is a township in the West Coast region of New Zealand's South Island, 40km south of Greymouth, and close to the mouth of the Hokitika River. On the 23rd (Wed), enjoy the sand and surf at Hokitika Beach, then tour the water at your own pace with West Coast Scenic Waterways, and then identify plant and animal life at Hokitika Gorge Walk. Here are some ideas for day two: trek along Tunnel Terrace Walk, get outside with Glow Worm Dell, then take in the views from Taramakau Road-Rail Bridge, then tour the pleasant surroundings at Woods Creek Track, and finally tour the pleasant surroundings at Coal Creek Track. For ratings, other places to visit, traveler tips, and tourist information, use the Hokitika trip planner . Getting from Paihia to Hokitika by combination of taxi and flight takes about 7 hours. Finish your sightseeing early on the 24th (Thu) so you can travel to Dunedin. On the 25th (Fri), get to know the fascinating history of Waikouaiti Beach, contemplate the long history of Matanaka Farm Building, then identify plant and animal life at Penguin Place, and finally get great views at Flagstaff lookout and Hotere Garden. 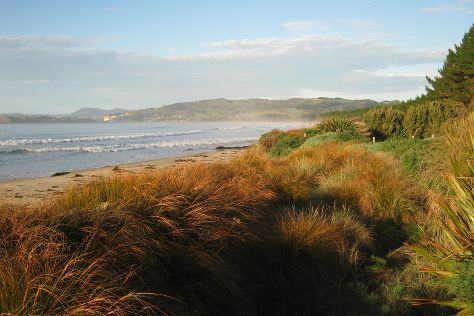 Get ready for a full day of sightseeing on the next day: take in the architecture and atmosphere at First Church of Otago, kick back and relax at Aramoana Beach, contemplate the long history of Olveston Historic Home, then trek along Tunnel Beach Track, and finally enjoy the sand and surf at St Clair Beach. For ratings, maps, traveler tips, and more tourist information, refer to the Dunedin trip itinerary builder . Traveling by combination of flight and bus from Hokitika to Dunedin takes 5.5 hours. Alternatively, you can drive; or take a bus. Wrap up your sightseeing on the 26th (Sat) to allow time to take a bus to Te Anau. Get outdoors at Kayaking & Canoeing and Lake Te Anau. Spend the 28th (Mon) exploring nature at Fiordland National Park (Te Wahipounamu). The adventure continues: explore the activities along Milford Sound, trek along Lake Gunn, stroll through The Chasm Walk, and look for gifts at Kowhai Gifts & Souvenirs. To find traveler tips, maps, reviews, and tourist information, refer to the Te Anau online vacation planner . You can take a bus from Dunedin to Te Anau in 5.5 hours. Alternatively, you can take a bus. Wrap up your sightseeing on the 29th (Tue) to allow time to take a bus to Queenstown. Get in touch with nature at Queenstown Hill and Arrowtown Chinese Settlement. Explore hidden gems such as Arrowtown Village and Queenstown Arts Centre. On the 31st (Thu), spend an exhilarating day on the slopes at Coronet Peak. 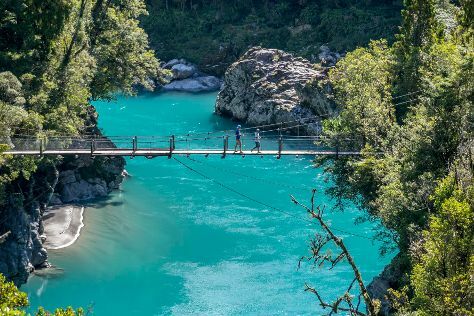 There's much more to do: trek along Ben Lomond Track, take a memorable drive along Glenorchy-Queenstown Road, take the plunge with a skydiving experience, and relax and rejuvenate at some of the top local wellness centers. 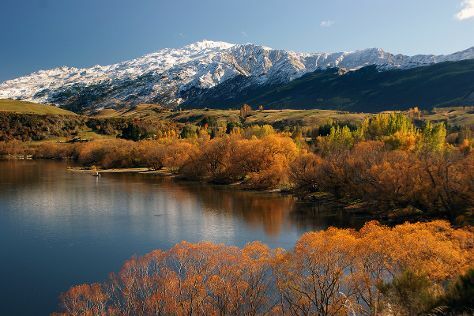 To find other places to visit, maps, reviews, and more tourist information, refer to the Queenstown trip planner. Getting from Te Anau to Queenstown by bus takes about 3.5 hours. Finish up your sightseeing early on the 2nd (Sat) so you can travel to Waitomo Caves. Kick off your visit on the 3rd (Sun): explore the fascinating underground world of Waitomo Glowworm Caves, then relax in the rural setting at Waitomo Big Bird & Miniature Animal Petting Farm, then explore the fascinating underground world of Ruakuri Cave, and finally identify plant and animal life at Wildlife Areas. Get ready for a full day of sightseeing on the next day: explore the fascinating underground world of Footwhistle Glowworm Cave, Head underground at Caveworld, tour the pleasant surroundings at Ruakuri Walk, then explore the striking landscape at Mangapohue Natural Bridge Walk, then take in the dramatic scenery at Marokopa Falls Walk, and finally explore the fascinating underground world of Piripiri Cave Walk. For where to stay, more things to do, other places to visit, and other tourist information, use the Waitomo Caves trip maker . Do a combination of flight, taxi, and bus from Queenstown to Waitomo Caves in 7 hours. Alternatively, you can do a combination of flight and bus; or do a combination of car and ferry. Wrap up your sightseeing on the 4th (Mon) to allow time to drive to Rotorua. Step off the beaten path and head to River Rafting & Tubing and Paradise Valley Springs Wildlife Park. Take a break from the city and head to Orakei Korako Cave & Thermal Park and Waimangu Volcanic Valley. Get out of town with these interesting Rotorua side-trips: Mount Maunganui (Mount Maunganui Base Track, Mount Maunganui Summit Track, & more) and Huka Falls tracks (in Taupo). The adventure continues: look for all kinds of wild species at Redwoods Treewalk, take in nature's colorful creations at Government Gardens, witness a stunning natural landmark at Wai-O-Tapu Thermal Wonderland, and steep yourself in history at Buried Village of Te Wairoa. To find traveler tips, ratings, maps, and other tourist information, you can read our Rotorua trip maker site . You can drive from Waitomo Caves to Rotorua in 2 hours. Alternatively, you can take a bus. In November, daytime highs in Rotorua are 23°C, while nighttime lows are 15°C. Wrap up your sightseeing by early afternoon on the 11th (Mon) to allow time for travel back home.